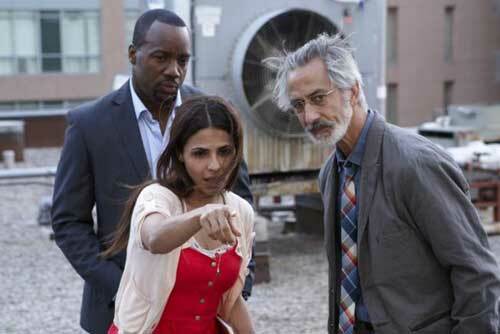 SyFy’s action-filled TV show Alphas is headlined by the wonderful character actor David Strathairn (The Whistleblower). Strathairn plays Dr. Lee Rosen, who heads a team of five people who have brain anomalies that have given them superhuman abilities. The group takes the law into their own hands while working within the government to investigate a new brand of crimes. In season one, the team try to balance their normal lives with their work as Alphas, including dealing with riots linked to a runaway teen, breaking up a large-scale terrorist plot and solving an outbreak of deaths in a local high school. As well as Strathairn, the science-fiction television series’ cast features Ryan Cartwright (TV’s Bones), Warren Christie (Apollo 18), Valerie Cruz (TV’s Dexter) and Malik Yoba (Why Did I Get Married Too? ), as well as guest stars Lindsay Wagner (TV’s The Bionic Woman), Summer Glau (TV’s The Cape) and Brent Spiner (TV’s Star Trek: The Next Generation). Summer Glau episode was a game changer : the Alphas team and especially Dr Rosen realised they were only “governement flunkies” and it foreshadowed the revelations in the season finale. I’m very disappointed that there are no audio commentaries by showrunner/head writer Ira Steven Behr, the father of political sci fi TV. His departure from the series upon the announcement of the show’s renewal for a second season is all the more painful now.